Last year, nearly 700,000 people were stopped and frisked on the streets of the five boroughs of New York City. A New York Times investigation found that an overwhelming number o f those stopped were minorities and that over half of the stops involved the use of excessive force. These disturbing numbers raise questions about the effectiveness of stop and frisk policies and suggest police may be unfairly targeting racial groups. “Stop, Question and Frisk” is a policy of the New York City Police Department. It allows police officers to stop and search people on the street if they believe that the individuals they stop are committing or about to commit a crime. 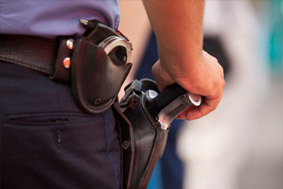 Opponents of the policy claim that it allows police to unlawfully stop and search law-abiding individuals, and that officers racially profile their targets. The recent New York Times investigation found that a whopping 80 percent of the 680,000 people stopped and frisked by police last year were black or Hispanic men, and that excessive force was used in over half of all stop and frisk incidents. Excessie force in these cases included slamming a suspect’s head against a wall or throwing a suspect to the ground. In some severe cases, police even drew their weapons. Often, the behavior of the victims of this force did not warrant such extreme reactions. In fact, some who had fallen victim to forceful stop and frisks had simply asked the officers what they did to provoke the stop. One in five stops in the five boroughs involved some use of force. The precincts with the highest rate of use of excessive force include the 44th and 46th in the Bronx, the 32nd in Upper Manhattan and the 115th in Jackson Heights in Queens. Unfortunately, the use of excessive force rarely results in arrest of suspected individuals. A comparison of the precincts with the highest and lowest rates of use of excessive force illustrates this point. In the 46th Precinct in the Bronx, where neighborhoods are mostly black or Hispanic, police officers used excessive force in 58 percent of all stop and frisks-the highest rate in the city. However, only three percent of the stop and frisks where force was used resulted in arrests. In the 111th Precinct in Queens, police officers serve a community that is almost entirely white or Asian. Excessive force is used in only 4.7 percent of stop and frisks in the precinct, and 40 percent of these stop and frisks resulted in arrests. Fortunately, the courts are starting to acknowledge the problems inherent in the city’s stop and frisk policies. This spring, a federal judge allowed a class-action lawsuit to move forward that accuses the police department of using race as a factor in police stops. The plaintiffs also argue that many of the stops are unlawful, “suspicionless” stops. It is legally possible to hold police officers accountable for their use of excessive force in a stop and frisk and to challenge the legality of a stop and frisk incident. 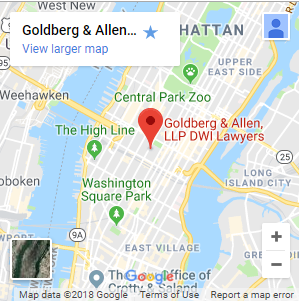 To learn more about your options, contact an experienced New York City police brutality and false arrest attorney.